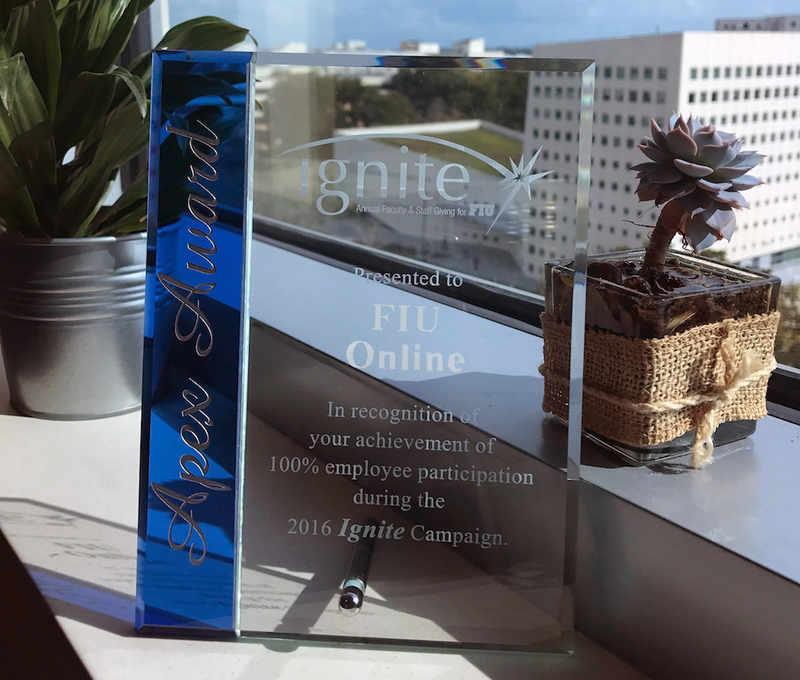 During the yearly Ignite event held on-campus on February 14, 2017, the FIU Online team was awarded the Apex Award. The Apex Award is awarded to units who achieve a 100% participation rate during the course of each years Ignite Campaign. 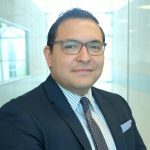 Joseph Riquelme, FIU Online’s Interim Assistant Vice President also received the Spark Award for leading the department to 100% participation. Through Ignite, employees are encouraged to make a generous donation to the FIU fund of his or her choice. This campaign allows employees to direct their gift to any unit of FIU they wish to support. They may also choose to make an unrestricted gift, providing FIU a flexible source of funding to meet its greatest needs. Employees can also choose to invest in a College, School or a particular program or initiative. Each unit can create their own scholarship or project they wish to support. As part of the Ignite campaign, FIU Online created the FIU Online Distance Learning Scholarship. These scholarships cover the cost of student’s distance learning fee for one course during one semester. For FIU Online students—many of whom are juggling family, career and school—this scholarship means one less expense for students on their path to success. FIU Online is proud of our department’s employees for stepping up to the challenge and meeting 100% participation. We plan on continuing to reach 100% participation for many years to come.